Sol-Grid: High Performance Polarized, Photochromic and Electrochromic Lens Technologies now available for license and development. Patent #US7771045. Other patents pending. 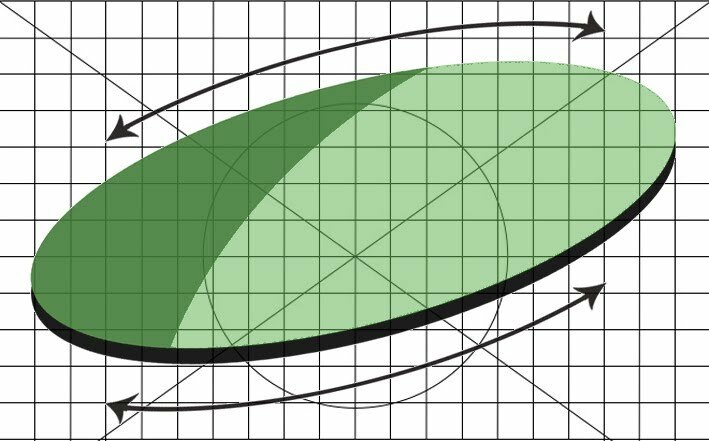 Sol-Grid: Potential Performance Characteristics and Applications. 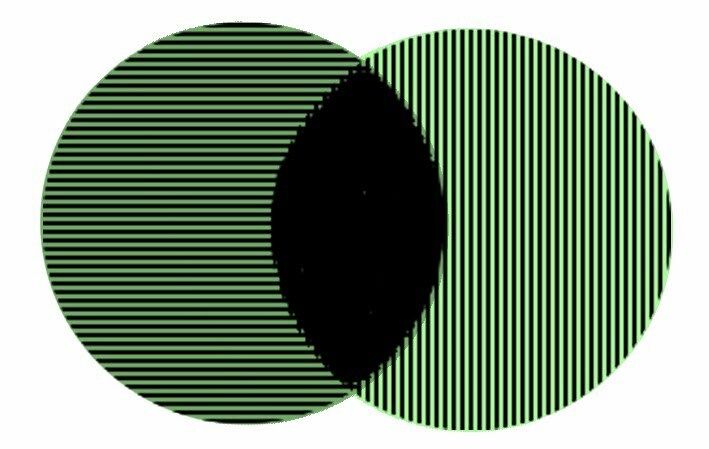 Sol-Grid marks the first major breakthrough in polarized lens technology in almost a century offering exceptional levels of polarizing performance and visible light transmittance. Sol-Grid is the next generation of polarized lens technology: Current PVA film based polarized lenses utilize a technology over 80 years old. Sol-Grid is a state of the art nanotechnology polarizer. Sol-Grid offers ease of manufacture utilizing existing lens manufacturing techniques and equipment dramatically increasing yields, production quality and versatility. Sol-Grid’s patented polarization technology (# US7771045) is a quantum leap forward in the field of polarization. Sol-Grid offers two revolutionary versions of polarized lens technology. 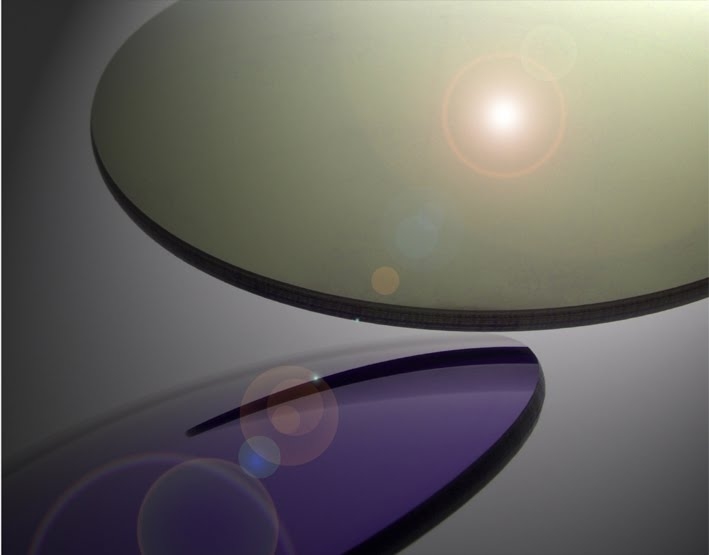 The first, Sol-Grid 1, a thermoformed laminated lens product and Sol-Grid 2, a preformed imprinted polarizing technology. Sol-Grid eliminates the use of PVA film making it the worlds first and only “film-less” polarized lens technology. Sol-Grid’s high efficiency polarizer provides superior polarization while maintaining perfect azimuth, high contrast and low density, potentially achieving an industry first film-less tint free, virtually clear polarized lenses. Sol-Grid: The most advanced polarized lens technology available anywhere. Photochromic: First developed in the1960's conventional photochromic lenses s l o w l y darken on exposure to UV or photonic radiation. Once the radiation (light) is removed, for example by walking indoors, the lenses s l o w l y return to their transparent state, so called color changing or transitional eyewear and sunglasses were born. Photochromic compounds darken and fade back to their clear state by a thermal process, the higher the ambient temperature, the less density or darkness the photochromic lenses will express. This characteristic, known as "temperature dependency" prevents current photochromic or transitional lenses from achieving total or near total density in higher, summer temperatures. Conversely, photochromic lenses turn very dark in cold winter temperatures. For this reason, photochromic lenses have been limited to eyewear where the transformation from dark to light is restricted to a very narrow range, never getting very dark or very light. associated with slow switching times and limited density range, potentially yielding faster transition response time, extended density range, superior operational temperature range and integrated heat dispersion. Electrochromic: In addition to advances in traditional chemical photochromics, Sol-Grid has developed a new, patent pending Electronic Shutter for use in lightning fast Automatic and Selectable Density devices such as 3D Viewing and Near Eye Displays. Sol-Grid simplifies the design, eliminating many of the layers and additional steps needed to create a traditional electronic shutter which translates into lower costs and ease of manufacture.